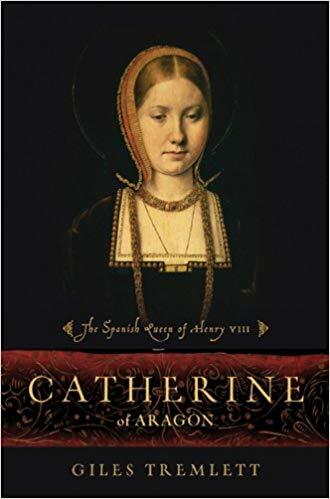 Synopsis: The youngest child of the legendary monarchs Ferdinand and Isabella of Spain, Catherine of Aragon (1485-1536) was born to marry for dynastic gain. Endowed with English royal blood on her mother's side, she was betrothed in infancy to Arthur, Prince of Wales, eldest son of Henry VII of England, an alliance that greatly benefited both sides. Yet Arthur died weeks after their marriage in 1501, and Catherine found herself remarried to his younger brother, soon to become Henry VIII. The history of England-and indeed of Europe-was forever altered by their union. Drawing on his deep knowledge of both Spain and England, Giles Tremlett has produced the first full biography in more than four decades of the tenacious woman whose marriage to Henry VIII lasted twice as long (twenty-four years) as his five other marriages combined. 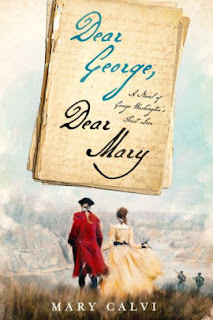 Her refusal to divorce him put her at the center of one of history's greatest power struggles, one that has resonated down through the centuries- Henry's break away from the Catholic Church as, bereft of a son, he attempted to annul his marriage to Catherine and wed Anne Boleyn. Catherine's daughter, Mary, would controversially inherit Henry's throne; briefly and bloodily, she returned England to the Catholicism of her mother's native Spain, foreshadowing the Spanish Armada some three decades later. From Catherine's peripatetic childhood at the glittering court of Ferdinand and Isabella to the battlefield at Flodden, where she, in Henry's absence abroad, led the English forces to victory against Scotland to her determination to remain queen and her last years in almost monastic isolation, Giles Tremlett vividly re-creates the life of a giant figure in the sixteenth century. Catherine of Aragon will take its place among the best of Tudor biography. 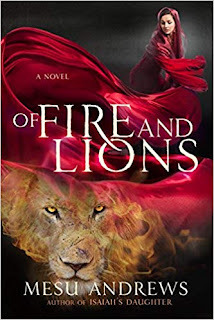 My Review: Catherine of Aragon was Isabella of Castile and Ferdinand of Aragon’s youngest daughter. As the daughter of Spain’s greatest monarchs, her future seemed to be promising as England’s queen. However, once she arrived in England, Catherine’s life was nowhere near as promising and secure as she had hoped. Six months after she married Arthur, she is forced to live in poverty, abandoned by her father and father-in-law. Her future seemed secured once she marries Henry. After decades of marriage, Henry planned to set her aside and marry Anne Boleyn. Catherine of Aragon was willing to remain as Henry’s queen until she died. We know of Catherine as the mistreated wife of Henry VIII. However, we tend to forget her accomplishments. Catherine was a Renaissance queen. She promoted humanism and was for women having an education. She also proved to be a capable ruler. During her time as Regent, she won the battle with Scotland. Catherine proved to be Henry’s capable opponent, and in many ways she beats him. The author also shows Catherine’s willingness to die as a martyr. Catherine saw her divorce as a religious crusade and was very eager to die for her faith. She even persuaded others to become martyrs. One example is John Fisher. Catherine believed that she was the true queen and fighting against Henry was the best way to save his soul. Overall, this biography shows Catherine to be a courageous queen. She never stopped fighting for her beliefs. Mr. Tremlett heavily emphasizes Catherine’s willingness for martyrdom. He argues that his reasoning for this was if Catherine had not died in 1536, Henry probably would have sent his wife to the Tower. The chapters were short and made for easy reading. I did think that Catherine’s early life and marriage were rushed, and I wanted more detail. It seems that the author wanted to focus more on her divorce procedures rather than Catherine as a queen. Still, Catherine of Aragon is an essential read for Tudor fans and deserves to have a place in Tudor biography. We should remember Catherine as more than a victim. We should remember her as a bold queen whose valour won her the hearts of the people. Catherine in the Tower and not Anne- now there's an intriguing what if!